KATHMANDU, Nepal - Subin Limbu (23) was crowned Miss Nepal 2014 at the Army Officer's Club in Kathmandu on May 2. She will represent Nepal in Miss World 2014. 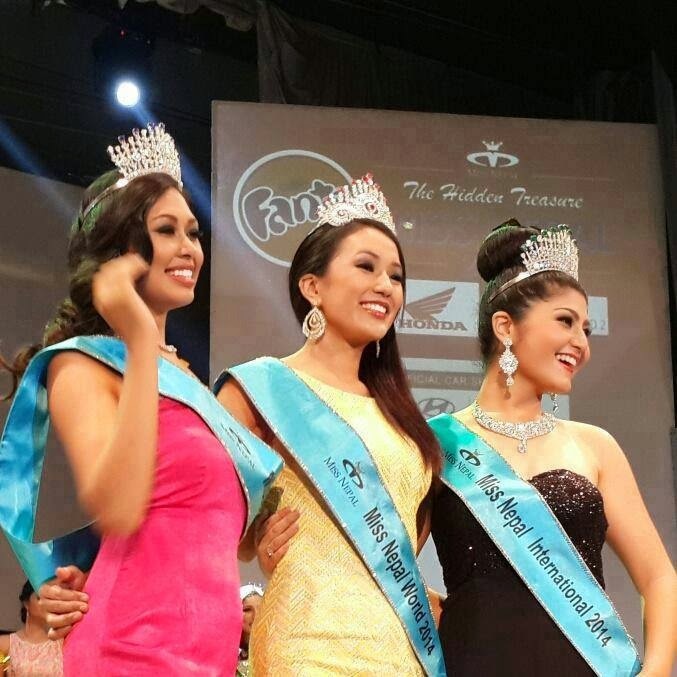 The first runner-up was Prinsha Shrestha will compete in Miss Earth 2014 and the second runner-up was Sonie Rajbhandar. Rajbhandar will compete in Miss International 2014.